Forgot username or Password ? If you want to pass PTE tests with flying colors, you will require sheer practice and train yourself rigorously. First of all, you have to improve the status of Academic English. PTE (Pearson Test of English) offers study material in printed and digitized form. Reading materials are also available on the internet for free. This stuff will be really helpful for you to enhance your grades in English. Make sure to practice with available data to improve your performance in Pearson Test of English / PTE. Any candidate who is interested in appearing for the Pearson Test of English should have entire knowledge of this test before attempting it. You should learn about the format of this test and practice sample tests to understand its problems and complications. Sample tests will help you to understand the actual format of the test and you may be able to work on the difficult parts of this test. If you want to achieve desired results, it is essential to focus on your weaknesses and practice them again and again. For instance, if you are weak in reading, you have to focus on your reading skills. Pearson Test of English requires you to do maximum practice; therefore, try to take maximum mock tests to increase chances of your success. You have to evaluate your strong points for this test and point out your weaknesses. Prepare as many tests as you can and scrutinize and judge the answers. Sample tests will help you to learn time management and prepare yourself mentally and physical for the actual test. You should check the pattern and timing of this exam to train yourself as per your needs. It will be good to reach your exam venue before time to relax for this test. Carefully mark grammar to while doing this test because grammar is really important in this test and you may lose your score after missing this part. It is essential to avoid the use of similar words repeatedly. Make sure to give clear answers to avoid any confusion. Any wrong answer will increase your negative points; therefore, you should carefully select the right answer. For the best preparation of Pearson Test of English tests, it will be good to try online practice tests. These tests are really helpful for a novice because these will help you to understand the format of this test. With the help of these practice tests, you can predict your scores in PTE test. You can improve your time management skills and set some practical expectations on potential performance. These tests are good to familiarize yourself with the format of the test and improve your writing, speaking and listening skills. Online tests will help you to find your potential and abilities to attempt this computerized test. Keep it in mind that this test is designed to examine your ability to listen, speak and write English. The online tests will cover different topics related to English. Learn from expert tutors through live, 1-on-1, online classes. Which class are you in currently? 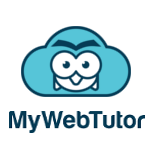 MyWebTutor is an online tutoring services platform, created by alumni of IIM, who believe that the right tutor can help realize a student’s academic dreams! The same team has set-up Spanedea for the Indian market.